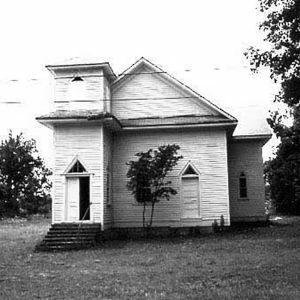 The congregation of Clinton African Methodist Episcopal Zion Church, which was organized in the early 20th century, was the first separate African American congregation in Kershaw. This wood frame vernacular Gothic Revival building was constructed in 1909. Clinton AME Zion Church was named for Isom Caleb Clinton, an ex-slave who was a prominent minister in the AME Zion Church and who was ordained as a bishop in 1892.